Upon initially discovering Hong Kong Action cinema, I turned my nose up at the Kung-Fu comedy stylings of Jackie Chan and company. I gravitated to much more serious fare like “Heroic Bloodshed.” I made a rare exception for the offerings of Lau Kar Leung, but that’s where I drew the line. Since then, I have gradually been shedding such prejudices. It would appear to be too late, as the golden age of Hong Kong cinema has long since passed. Fortunately for me, traces of its DNA can be still found in action cinema from around the world. 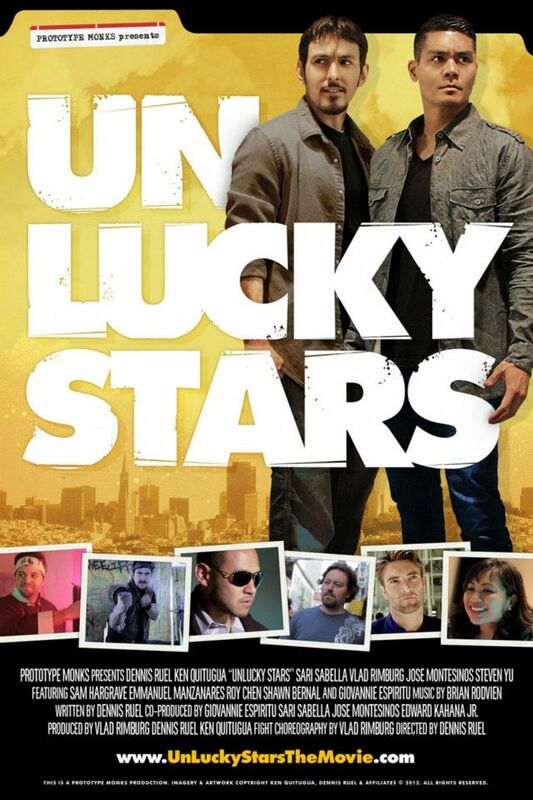 Unlucky Stars, an upcoming American made martial arts comedy from Prototype Monks, focuses on two action stars from different continents. One is an established name from Peru, while the other is an up and comer from Jordan. Both eventually find themselves being chased by a relentless bookie. In order to make things right, a pair of private investigators may have to go above and beyond the call of duty. The film is still in production. Judging by the trailer, it seems to be squarely on the right track. The brief moments glimpsed appear to combine the self-aware nature of American spoofs like 21 Jump Street (sans the vulgarity) with the precise action choreography one would expect during Hong Kong action cinema’s heyday. The kicks snap with speed and precision, and the sound effects are timed perfectly to the acrobatics onscreen. By all accounts, Unlucky Stars is shaping up to be a polished and finely tuned example of its genre. There is a dearth of quality martial arts flicks here in the states. Most of the ones that get made are usually of the deadly serious variety. As a whole, Americans have yet to truly embrace the joys of martial arts comedies. Unlucky Stars could be the first small step in a new renaissance. It’d be really nice to see Prototype Monks complete this film. Those of you who would like to donate to the production can do so by clicking on this link. It will surely be money well spent.